SBuys | Wholesaler and a training & development academy. S Buys Group, established in 1993, comprises a full-line wholesaler, a specialised pharmacy, and a training & development academy. We service pharmacies, hospitals, doctors and patients as well as the State and various NGO's. We have a national reach and interact with many stakeholders that include suppliers, all pharmaceutical companies, healthcare providers, funders (all medical schemes), disease managers and others. S Buys Wholesaler is a key part of the S Buys Group of companies, and is a full-line pharmaceutical Wholesaler. 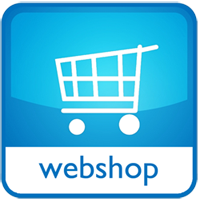 Visit our webshop now! Click on the image below. The S Buys Academy was established in 2000. Its main objectives are the upliftment and up-skilling of individuals in the environment of pharmaceutical service provision. As a specialised pharmacy, we go the extra mile, delivering a personalised (pharmacist-patient) and accurate service, throughout South Africa. Alongside traditional chronic medicines, ScriptWise delivers specialized medicines to whatever destination our clients require. Call our Sales Team or let them call you back!